“Without ice cream, the world is dark and hot” ―Don Kardong. The word ‘ice cream’ itself gets us drooling, and we start wondering where the nearest shop might be where one can buy some! This sweet temptation has always been the hot favorite among young and old alike, offering a wide range of variety in taste, texture, and color. Lately, there are many national brands that are keeping customers tempted with their rich ice creams and frozen desserts, and one such brand is Azzabko. Raised in Kathmandu, ice-cream has always been an all-season favorite for me since my childhood, whether it is the scorching summer or chilly winter. Thus, I make sure I never miss a single chance to make it part of my special moments, and Azzabko Ice Cream, with their range of softies, scoops, and sundaes in various flavors, is keeping my sweet tooth happy and making me lose myself in ecstasy. 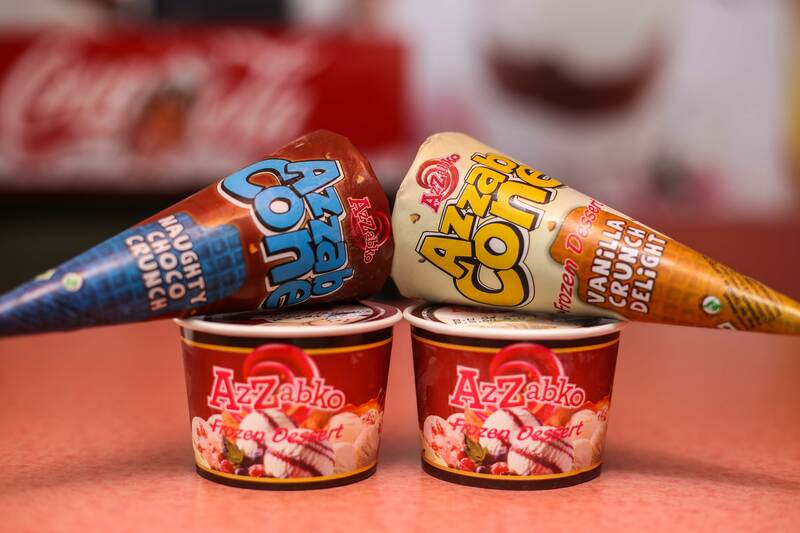 Azzabko Ice Cream, produced by National Ice Cream Industries Pvt. Ltd., a joint venture of Nanglo Group and NE Group, is one of the most popular ice cream brands available in Nepal, offering a wide variety of ice creams for all age groups. Today, Azzabko Ice Cream is available in over a dozen flavors through more than 300 retail outlets in the valley, and is available in 100 ml, 500 ml, one-liter, and four-liter packs, offering both the regular and premium segments. Azzabko’s ice creams are rich in flavors, and the fusions are unique and tasty. The delicious taste of the brand, that too available at prices comparatively lower than other ice cream brands in the country, makes it stand out from other companies out there. Whether it’s fruity flavors or classic chocolate, quirky combos, cups, cones, soft serve, or a big block to be shared with family and friends, there’s some ice cream from Azzabko that appeals to each one us, and fits every occasion, too. The range of flavors spans fruit, nuts, chocolate, etc., Azzabko offers its products on sticks, cones, cups, blocks, tubs, and various other forms in a range of flavors, including vanilla, strawberry, chocolate, butterscotch, chocolate chips, mango, coffee, pineapple, keshar pista, apple, mint, litchi, wild berry, rum raisin, honey anjir, banana, lemon ginger, and many more. Apart from offering single flavors, they also come in mixed packs offering vanilla and strawberry, vanilla and chocolate, and vanilla and butterscotch. What I personally found amazing were the mini candies that the brand offered in multiple flavors like rasilo orange, mazzako mango, gazzabko lemon, chiso-cola, and kachha aap. I literally felt the adjectives given to these flavors were apt because of the rich natural taste the flavors offered. The lip-smacking lapsi kulfi gives you the perfect taste for your soul. Ice cream lovers, don’t worry about the calories, they have sugar-free kulfi, too. Beat the heat with the exotic flavor of cornetto, in which Naughty Choco Crunch and Vanilla Crunch Delight happen to be scoops of happiness and are must-tries.